we stayed for 2 weeks and had a fantastic time ,the staff are brilliant ,the room was big and cleaned every day .the animation team were very good even give you lessons in arabic. if you want to eat outside the hotel zozo's is on the right and the queen vic is on the left ,both good places to eat .dont go to the shakespeare a dump . The hotel is very clean, we had clean towels every day, the maid was very friendly she made fans out of the bedding and nightclothes every day was different and always put fresh flowers on the bed. All of the staff were helpful and very friendly. The restaraunt is buffet style and there was always a huge selection of tunisian and english foods and every night was a different menu. I visited the hotel on the 18th of Feb 07 and left on the 25th. I have to say that this particular hotel was amazing. It was kept so clean and tidy. mum, dad, sister and my nephew, all the staff were loved by my 3 year old nephew who at the end of the holiday didn't want to go. This trip has made me book another holiday for May in the same hotel, and also seriously consider buying myself and my sister a house out there. I made some really good friends here and I'm sure that anyone going will also. I really loved the hotel, it was comfortable, clean and traditional. The food was lovely and so much choice. a private stretch of beach, exotic gardens its own spa, three pools, crazy golf, tenis courts, bars resturants and plenty for children. there was much more that I didnt even get to see. The staff were the best and I have made some good friends. I was really impressed and can't wait to return. If you are a young couple with some toddlers this is the place for you. If you want a peaceful quiet holiday, relaxing with a drink and a book this is not for you. There is too much activity and noise from kids yelling and running in every area. If you are near the main swimming pool you will never get a siesta because the loud entertainment for children will start and was deafening and unrelaxing. We had sleepless nights in the heat, bitten by mosquitoes because we had to have the windows wide open for air because the air conditioning did not work. If you want a spacious clean and cool restaurant this is not the place to come. We were moved several times in the week from table to table elbow to elbow,often sharing with total grumpy strangers, not what we had in mind at all. The eating area was also often far too hot and airless to enjoy the holiday camp type food. We will never return. The waiters and other staff were very friendly and went out of their way to please. The food was very good and even my fussy teenage daughters found something to eat. We found if you made an effort with the staff you got repaid ten fold. The head waiter was great, showing us magic tricks during dinner and made a real fuss of the children. They also appreciated my poor attempts to speak tourist Arabic phrases!! We had a great time. Go with an open mind, it is not Spain, but the people are very friendly and we had a fantastic holiday. The Mirimar Hotel in Hammamet is an old hotel with beautiful gardens. It has 2 outdoor pools and one indoor and the back gate leads right on to the beach. The rooms were cleaned every day and the food is very good with a selection for everybody. 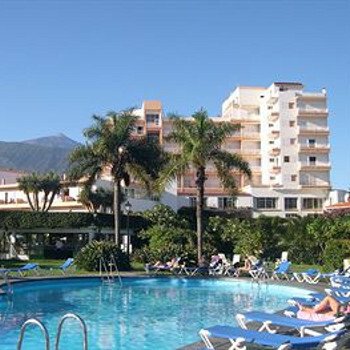 The location is excellent being right on the beach and only a few miles by taxi to the night spots which are great. The staff are a great bunch where nothing is any trouble for them. There is entertainment every night in one or the other of their 2 bars. I have visited this hotel many times over the years and have stayed in it twice. It's a great place for a holiday. My Wife, elderly mother and two toddlers stayed at this hotel. The kids Playgroup was terrible. The staff were not friendly and leaving our children in the kids club was a risk as the person in charge did not care if we their, no greeting or hello. The food was good, hence the hotel was not clean and all staff were not friendly. The entertainment was not suitable for young children but very rude and slapstick and in German. The hotel manager is excellent but it seems the hotel is too old and staff and cleanliness don't make it a 4 star rating at all! not recommended at all!! This was a 4 star when it was built, but probably should be re-rated. Having said that, it is a traditional Tunisian hotel in its design and layout, not a modern glass and concrete behemoth. Rooms are clean enough and the bed is firm. I think they are looking for a vacuum cleaner. There is a good variety of food and the chef asked us what he could prepare for the British, we got shepherds pie. Nobody was ill. Location is good on the beach. Staff are generally good although the bar staff could circulate more. This was off season, so entertainment was reduced, the 'team' put on a good Comedy show, Saturday Night Fever and a Casino night. The clientele was 40% British, 40% French, 10% German, 10% others. This is a popular hotel for Tunisian weekenders so this is a plus and a recommendation. We stayed in the hotel Miramar and found it to be an exceptionally friendly place. We were welcomed on our arrival by the hotel staff and a free cocktail. Our holiday rep was very prompt in introducing himself and went out of his way to make our whole families holiday a very memorable one. We found the food very good and were particularly impressed with the New Years Eve celebrations put on at the hotel Miramar. Our rooms were lovely the excursions were run to a very high standard and we were given plenty of info on what to expect from our My Travel rep who had an extensive knowledge of the local area. We would not hesitate in going back to this hotel. The staff were very helpful and friendly which was very refreshing. An altogether great holiday.